Co-commission Salzburg Festival, Theatre du Châtelet and Santa Fe Opera. 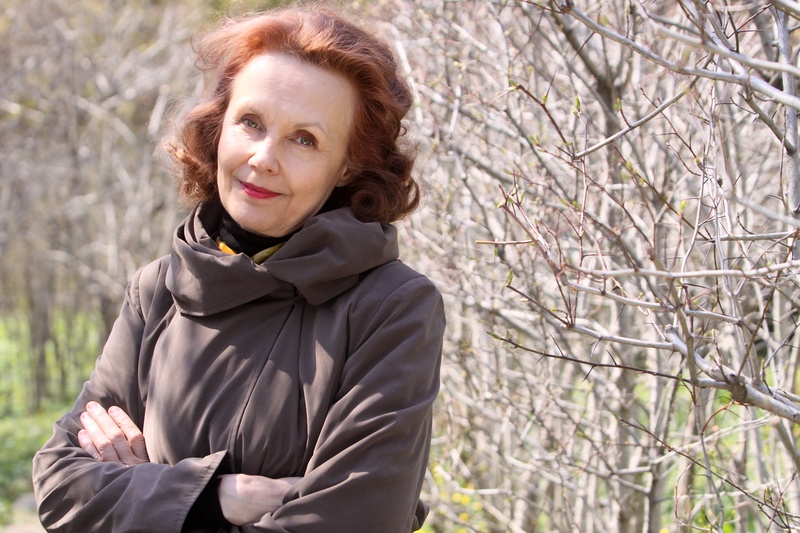 Kaija Saariaho’s first opera, L’amour de loin, was premiered in Salzburg in August 2000 and the same production was given at the Théâtre du Châtelet, Paris inNovember/December 2001, and in Santa Fe, summer 2002. Additional productions have been staged at Theater Bern, Switzerland and future performances will take place in Darmstadt, Germany (spring 2003) and at the Finnish National Opera in Helsinki (2004). The libretto has been written by French-Lebanese author Amin Maalouf. Since 1976, Maalouf has been living in France, where he was editor of the “Jeune Afrique” magazine, travelling as a journalist to around sixty countries. In 1983, he began to be known as an author, with the success of novels such as Léon l’Africain and Samarkand. His book Le Rocher de Tanios from 1993 was awarded the Prix Goncourt. The story of the opera L’amour de loin is based on “La Vida breve” of Jaufre Rudel, Prince of Blaye, one of the first great troubadours of the 12th century. His glowing passion for a woman from the East of whom he has only heard is the central theme of the libretto. L’Amour de loin is based on La Vida breve, by the great twelfth-century troubador, Jaufré Rudel, Prince of Blaye. Tired of the superficiality of life enjoyed by young men of his rank, Jaufré dreams of an idealised and distant love. Contrary to his expectations, a Pilgrim arrived from the Christian Kingdom of Outre-Mer, claims that he knows of such a woman – Clémence, Countess of Tripoli. Jaufré becomes obsessed with her and decides to travel to meet her. Meanwhile, Clémence has heard of the devotion of this Prince from a faraway land. Initially suspicious, she soon is haunted by dreams of her distant lover. However Jaufré’s voyage is hard and by the time he arrives in Tripoli, he is gravely ill. The lovers meet and declare their passion just before Jaufré dies. Jaufré Rudel, Prince of Blaye, has become weary of the pleasures of life led by the young people of his rank. He longs for a different love, faraway, a love which he has resigned himself never to be realised. His former companions, as a choir, reproach him with this change and laugh at him. They tell him that the woman he sings about does not exist. But a pilgrim, arrived from overseas, asserts that such a woman does indeed exist and that he has met her. From then on, Jaufré will think only of her. Having returned to the Orient the Pilgrim meets the countess of Tripoli and confesses that in the Occident, a prince-troubadour extols her in his songs, calling her his “love from afar”. Offended at first, the lady begins to dream of this strange and faraway lover, but she also asks herself if she deserves such devotion. First Scene – Back in Blaye, the Pilgrim meets Jaufré and avows to him that the lady now knows that he sings about her. This decides the troubadour to go to meet her. Second Scene – Clémence, for her part, seems to prefer that their relationship remains distant. She does not want to live waiting, she does not want to suffer. When the ships berths, the Pilgrim hurries to inform the countess that Jaufré has arrived but that he is close to death and asks to see her. The troubadour is brought to the citadel of Tripoli unconscious, carried on a stretcher. In the presence of the woman of whom he has sung, he gradually recovers his senses. The two “Lovers from afar” then meet and the approaching tragedy compels them to act in haste. They confess their passion, hold and promise to love each other … When Jaufré dies in her arms, Clémence rebels against Heaven, and then, considering herself responsible for the tragedy, she decides to enter a convent. The last scene shows her in prayer, but her words are ambiguous and it is not clear to whom she is praying on her knees: her faraway God or her “Love from afar”.